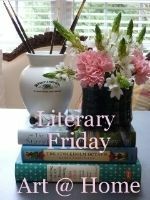 Happy Literary Friday, y'all! 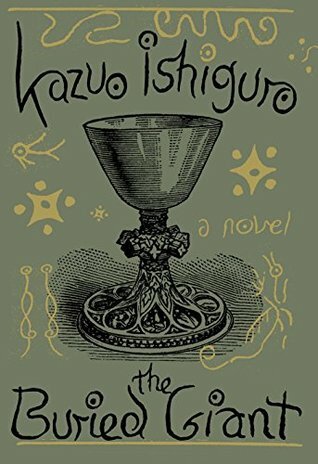 This week I read The Buried Giant by Kazuo Ishiguro. I confess that I bought into all the hype about this book, and I was very disappointed. Axl and Beatrice are an elderly Briton couple who set out on a quest to find their long lost son's village. Set in England during the Dark Ages shortly after Arthur's demise, the Saxons are arriving by the boatloads. Yet Briton and Saxon are living in peace partially due to a mysterious mist that makes everyone forget....everything. This makes for a difficult plot point because characters forget from one minute to the next what they were previously doing. SIDEBAR: Has this ever happened to you? You open your pantry, become distracted for one reason or another and forget why you opened the door in the first place? That's The Buried Giant. The frustrations of the characters set my teeth on edge! Where was I? The mist seems to have overtaken my brain...oh, yes! Axl and Beatrice set out on a quest from their burren/village to find their long lost son's village. They are eventually joined by a Saxon knight who luckily seems to be immune to the effects of the mist, a young Saxon boy with a sketchy backstory, and Sir Gawain from Arthurian legend. There is little plot, the point of view is unclear, and if the point of the book is the retelling of an Arthurian legend, well it falls way short. Maybe the book is an allegory on the sad and depressing devastation of Alzheimer's disease and dementia in general. I haven't read any interviews with the author yet, but I'm planning on getting to the bottom of the purpose of this book. Maybe it's just me: I didn't get it! There are many magical and fantastical elements to the story, but the characters are unreliable so you really don't know if the magic is there or not. What kept me reading it (and yes I read the entire book....I wanted to be proven wrong) is Ishiguro's masterfully written prose. The language is lyrical and lovely. What have you been reading? Please share and link-up below! I love your humor you inserted within your review. I am sorry the book was a let down. It sounds kind of interesting. Have a great weekend.